It’s been a tough week for old motorsports writers. Not only did we lose two of our longtime colleagues, Harold Pearson and Benny Phillips, but now comes word of the passing of Joseph “Doc’’ Mattioli. All three of these men played important roles in my auto racing education and all three became friends. Harold Pearson was part of the “in crowd’’ in NASCAR when I first showed up at Daytona in 1980. He was a good friend of recent Hall of Fame inductee Tom Higgins, then the dean of stock car sports writers, and his close corhort, Steve Waid, also a Hall of Famer in my book. These guys knew just about everything there was to know about what was then a southern sport. They knew the drivers, crew chiefs, car owners and most of the secrets. To become a functioning writer in those days, you had to get to know the insiders and, somehow, become one of them. Harold Pearson, who worked for the Richmond Times-Dispatch, was one of the first of that crowd to accept me as a colleague and give me the kind of guidance that I needed. He was a fine writer and, beyond that, Harold was fun to be around. helpful guy you could not find. He not only pointed this rookie in the right direction to find important stories, but he made sure to introduce me to the people I needed to get those stories. 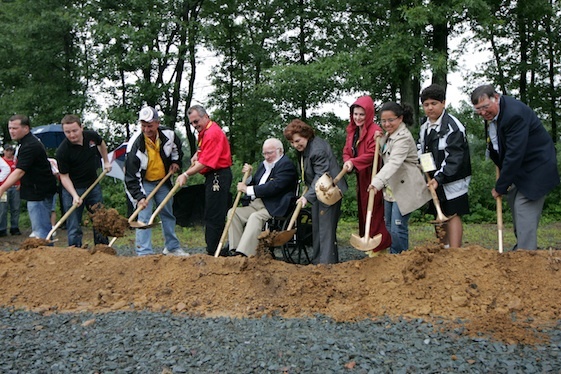 Then there was Doc Mattioli, founder and owner – along with his wife, Dr., Rose – and chairman of the board of Pocono Raceway. A powerful man who was determined to remain independent as the France family’s International Speedway Corp., and Bruton Smith’s Speedway Motorsports Inc., bought up more and more of the tracks at which NASCAR raced. 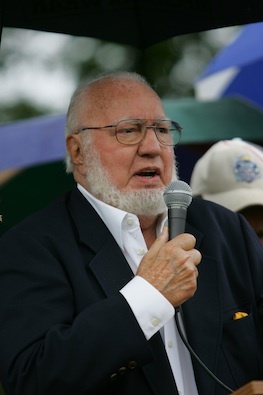 Doc always said the track was his and Rose’s legacy to their family, which to this day is integrally involved in running the successful racetrack in the Pocono Mountains of Pennsylvania. The early days of the Pocono track were not promising. It seemed even higher powers were against its success as race weekend after race weekend was drowned out by incessant rain. But Doc never wavered _ at least not publicly. He insisted the track’s day would come and persevered until it did. He even chose to go against convention and run his races for years with no title sponsor. “That way, we can do whatever we want with our events without somebody trying to tell us how it should be done,’’ Doc told me several times. Against all odds, the track still belongs to the Mattioli family and still retains two Sprint Cup dates – the lifeblood of the track – even though others have tried to convince NASCAR to take away one or both of those races. The major reason for those two facts is Doc Mattioli, who fought to the end to make sure that did not change. He was an opinionated cuss, but also a lovable person who always remained a friend, no matter which side of the controversy you were on. So, Harold, Benny and Doc, a sad farewell to all. You won’t be forgotten by those who knew you.